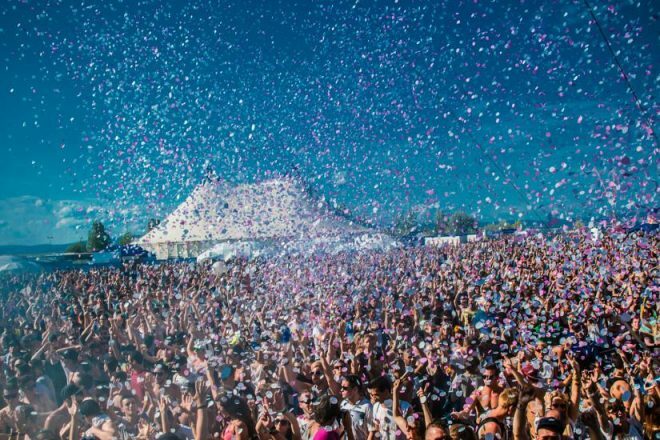 After first announcements early January, Family Piknik now discloses its full line-up and adds great artists to its already first class list. This year, several exciting back-to-backs will be scheduled, like the one between LA FLEUR and MAGDALENA, two of the most inspiring ladies in the industry joining forces for Family Piknik like they did a couple of times last summer in Ibiza. Also, KEINEMIUSIK head honchos ADAM PORT and &ME will be in action from 4pm to 8pm in the middle of the woods, heading the new secret stage, right after the always eccentric and surprising BUTCH. Drumcode’s hottest member ENRICO SANGIULIANO will close the main stage after a storming 6 hours sunny time-lapse wrapped up by the biggest names of the Techno industry : SVEN VÄTH and CARL COX. Crosstown’s boss DAMIAN LAZARUS will also be part of the Family Piknik madness during the afternoon, with a set expected to be as crazy as its Day Zero performance in Tulum. The Flamingo stage confirms its Melodic and Progressive trend adding the Argentinan super-hero HERNAN CATTANEO, rewarded of a DJ Award trophy as Best Progressive DJ. It will be the first appearance in France for this legend, so he will deliver a more than expected 3 hours performance. In the middle of the afternoon, on the same stage, none other than the highly respected JORIS VOORN will please everyone with his unique and emotional touch. With all these great artists gathered under the Mediterranean sun, magic will be in the air ! Family Piknik’s Opening concert will be once again focus on ELECTRONIC LIVE ACTS and it will showcase some of the best shows of the moment. As this year’s headliner, the festival will warmly welcome the very well-known and respected French master chief AGORIA, who’ll present his innovative live show around his new studio album. People will also be blown away by Diynamic’s genius JOHANNES BRECHT, Solomun’s loyal soldier in the studio. Techno veteran MARC ROMBOY will exclusively launch his brand new LIVE act, as well as MATADOR, who’ll stop by Family Piknik for one of his only six Live acts in the world this year. French trio LKF (composed of TIME, who released Family Piknik 2018 official anthem ‘Keys of Gods’ + Villanova) will open the show and Brazilian superstar ANNA (Kompakt, Drumcode…) will close this opening night with her banging techno. Boarding to Family Piknik is back at Montpellier airport on June 15th. Imagine yourself dancing next to the planes from 5pm to 2am to experience a bit of the Family Piknik magic. This year, the line-up is really strong, with BLACK COFFEE headlining the night after his past summer canceled festival performance due to the storm. Afro-House king joins ANDHIM, MONIKA KRUSE, THIRD SON live, as well as Family Piknik Music master chiefs TOM POOKS b2b JOY KITIKONTI. Ahead of its main events in Montpellier, Family Piknik will go on the road bringing its whole concept across the country. 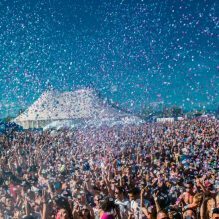 Each time, some big artists will be part of the show : FISHER will have his first French appearance for Family Piknik in Paris, CLAUDE VONSTROKE & JUSTIN MARTIN will bring the DIRTYBIRD madness to Family Piknik in Lyon, SUPER FLU will make Bordeaux dance and, last but not the least, CAMELPHAT & CRISTOPH will be the main heroes of the Road to Family Piknik night held in the festival’s hometown (Montpellier)… A few other additional dates could be announced later on.